You can turn off the xml reference store by checking the "Delete local representation after upload" flag. It will delete the xml pointer one second after the upload. If you already have archives on glacier not managed by CrusFTP, you can create CrushFTP simulated folder and file(XML pointers to your archive data) structure by this task. 2. 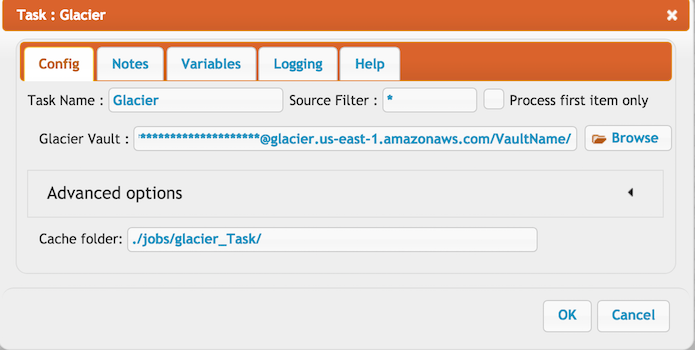 It checks the Amazon job status, and download the inventory when the Amazon job is finished. If your glacier archive descriptions does not have the format like above, it will creates just the XML pointers with archive description as file name.